On the eve of the Johannesburg Brics summit, in an unrelated interview conducted by Edward Luce of the Financial Times, “the grand consigliere of American diplomacy” Henry Kissinger said: “I think we are in a very, very grave period for the world.” I could not have put it better. In the days leading to the summit, during and after, the Presidency, the department of international relations and other ministries had to deal with a plethora of questions about what was in it for us. Some headline reports were even sarcastic, asking whether we were being overwhelmed or dominated by China and Russia. Are the Chinese here to swindle us? Is Russia’s President Vladimir Putin here to force us to sign the nuclear deal? A couple of cartoons flagged this perception by depicting a giant Xi Jinping of China and a diminutive President Cyril Ramaphosa. Therefore, it was no surprise that at the final Brics press conference, despite Ramaphosa going through the list of what the summit achieved, the first question put forward was whether Putin raised the nuclear question with him. Firstly, it is disappointing that our political analysts could not match the immense heaviness of the gathering that Ramaphosa hosted. Parts of the world – and of course many South African analysts – are still stuck in Cold War politics and ideologies. Using those lenses, they fail to interpret the changes in the balance of forces that have taken place since the fall of the Berlin Wall. As Kissinger implied in the quoted interview, the US has failed to understand Moscow and Beijing. The quality of political leadership has deteriorated. It is not only US President Donald Trump, but the whole system – unfortunately including analysts. Thirdly, one senses an abundant ignorance of the international relations our country has established over many years, especially since democracy was established in 1994, and the responsibilities that go with those associations. Fourthly, one recognises the damage inflicted on society by our own government in the past few years. The world was presented in a biased way as Brics with the exclusion of all other relations South Africa has with the world community. In the midst of all this, Trump’s antics blind us to see the world in its real context. This makes it difficult to have meaningful discussions among ourselves on what Brics means to us. To start with, gathered in Johannesburg were heads of state and government of the five Brics countries (Brazil, Russia, India, China and South Africa) that are all members of the G20, with over 3.1 billion people, or 41% of the world population, and four of them in the top 10 of the world population. All of them have considerable influence in their regional affairs and represent the largest emerging market economies. They have a combined GDP of $18.6trn and $4.46trn in combined foreign reserves. Secondly, it was also the largest and a unique gathering outside the UN system and regional alliances that attracted 31 countries and 21 heads of state. Through the Africa Outreach initiative Brics had – with South Africa’s persuasion – extended invitations to the AU member countries and their regional organisations. As part of the Brics Plus initiative there were leaders from the G20, Caribbean Community and Common Market, and the Organisation of Islamic Cooperation. This gathering created conducive conditions for international interaction and collaboration on wideranging issues of global concern – including trade and economic relations, peacekeeping efforts, the fourth industrial revolution, science research and cultural exchanges. Against this background, South Africa was in the driving seat to forge a common understanding of challenges the world is facing and influence the way forward. South Africa’s business involvement within the Brics Business Forum was very encouraging. This is the only way we can address the critical issues of our economy and job creation. As some observers noted, Africa’s numerous developmental challenges can only be addressed through bringing together key players on the continent, strong leaders and their business counterparts to drive the economic transformation of Africa and help our countries realise their developmental objectives. South Africa finds itself in a unique, but special position because it also has strong historic economic relations with EU countries and must harness these for its own interests and the development of Africa, especially SADC countries. Africa needs the type of technologies which will allow it to leapfrog into the fourth industrial revolution. There were many bilateral agreements signed between us and the Brics partners. In this regard, with the increasing uncertainty in global affairs brought about by the Trump administration, it is important that the government, especially those departments that signed agreements together with business, do their best to deliver on these agreements. 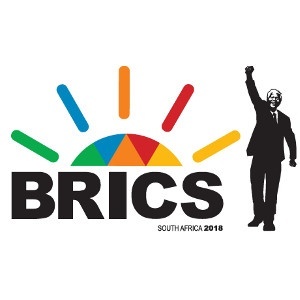 The 10th Brics Summit Johannesburg Declaration makes it clear that we need to safeguard and strengthen multilateralism, restore the centrality of the UN in order to maintain international peace and security, advance development, plus promote and protect human rights. We must continue to call for comprehensive reforms of the UN and Security Council and show our commitment to the World Trade Organisation systems. The New Development Bank has made a remarkable start. On people-to-people relations civil society actors, academics, business, labour and our youth can also bring huge advancements in our relations.